Approaching the brave new world of regulated recreational cannabis, it’s becoming clear that most of us may not understand as much about the plant as we once thought. But even if we don’t completely understand it, what if modern cannabis brands understood us? With whispers of legalization tickling our ears, Canadians are intrigued about new products and brands, wondering who will ensure consumers are safe, aware and educated about the contemporary cannabis world. With over four years’ experience growing and providing cannabis for medical patients in the Access to Cannabis for Medical Purposes Regulations (ACMPR), the company is well-positioned to enter the new recreational market confidently. Just like they’ve come to know their plants (with three 2017 Canadian Cannabis Awards to prove it), they’ve come to know those who consume cannabis just as well. The company recently announced its first-phase branding strategy for the legal adult recreational market, a plan that was built around an understanding of the modern cannabis consumer, Gracewood explains. “We’re regulating this market, but we’re not inventing it. For the most part, whoever is going to be using cannabis in 2019 are most likely already cannabis users right now,” says Gracewood, pinpointing an educational gap which exists in the recreational space. While most consumers have experience with consumption, to date, there have been few public resources which address issues relative to the importance of accessing safe, tested products and dosage control. Organigram, Gracewood says, hopes to bridge that gap. “We’re looking to dispel myths, evolve the category and take it out of the shadows. We want our customers to make educated decisions on the products before consuming them,” he continues. With an earned reputation for quality, compassion and consistency, Organigram has built relationships with over 15,000 patients to-date, and in doing so, has become a trusted brand that’s now positioned at the forefront of the industry. “Our recreational brand strategy incorporates the best of what we know about our current and potential customers, the industry and opportunities for growth and the production of premium products,” says Organigram CEO Greg Engel. “The addition of each of these brands is the result of more than 18 months of research, development and teamwork to better understand our products and consumers,” Engel adds, describing three new, unique recreational brands designed to accommodate consumers spanning the spectrum of needs, from the value-conscious, to those who demand a premium, sophisticated suite of products. That research phase, formally dubbed “The Edison Project by OGI,” was launched by Organigram with its medical patients last November. As patients purchased Edison products (a line of hand-manicured, craft-cured top flowers at premium price) and provided feedback, the OGI team gathered data used to develop The Edison Cannabis Company, a brand built on pillars of innovation, sophistication, creativity and quality. The marquee sub-brand offered within the Edison family is Edison Reserve, a line of products that represents the best quality indoor grown product in the country. Edison Reserve products will only be available in larger pack sizes of dried flower, and will feature the company’s hand-manicured, craft-cured top flower, which they’ve come to learn is the epitome of the cannabis consumer experience; it’s designed for knowledgeable consumers, and those who prefer quality. The Edison Cannabis Company will offer dried cannabis, pre-rolled and cannabis oil products across Canada. Along with Edison, Organigram has taken their existing partnership with Trailer Park Productions to introduce Trailer Park Buds, a brand designed for a value-conscious consumer who appreciates a good sense of humour, and one who doesn’t take things too seriously. Pre-rolled and blended products will be available at federally-licensed retail establishments across Canada in 2018. And with years of organic cultivation under its belt, the company is launching its flagship organic brand, Ankr Organics. With a deep understanding of organic cannabis cultivation, the profile of a consumer who values organic products, and an ongoing partnership with ECOCERT Canada, Ankr Organics will offer consumers the highest-quality, organically grown cannabis in the country. The company anticipates receiving organic certification in July, and Ankr Organics will be available nationally in pre-rolls and organic edible oils. 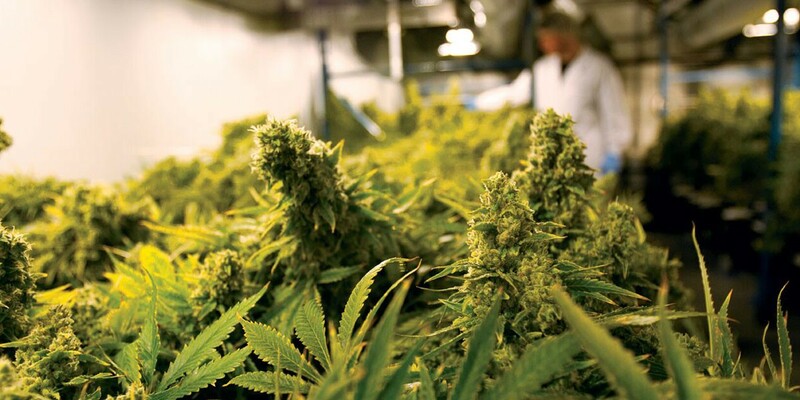 While the future of this new industry has yet to be revealed, Gracewood says the transition from an illegal market to a legal one isn’t expected to be smooth or seamless. For a public that’s accustomed to purchasing through the elicit market, it will take time to dispel myths, reverse misconceptions and educate consumers, Gracewood says, adding it will be important to take any current information for what it is: changing each and every day. No matter what the demand in the recreational market may dictate, Engel says the company will remain committed to supplying its medical patients first. Organigram disclaims any intention or obligation, except to the extent required by law, to update or revise any forward-looking statements, whether as a result of new information, future events of otherwise. Organigram is currently in discussion with jurisdictional partners and will continue to work through the applicable approval processes from province to province. The company has already secured retail distribution partnerships across the country including those with Prince Edward Island and New Brunswick. This content has been developed and paid for by Organigram, without involvement from The Coast’s editorial department.